Comfort and safety should be the priority of every group transportation provider. We are experts at it. We excel at what we do because we care for every single passenger no matter how long or short their time with us is. Transporting large groups of people can be a overwhelming for the faint of heart. 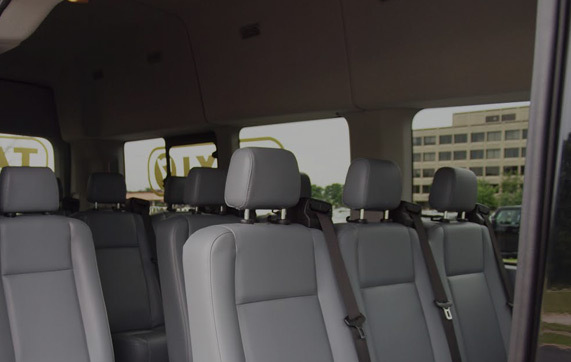 Taxi 7 is the industry expert when it comes to group transportation and we know the ins and outs of the service. No matter how many passengers need to be moved for whatever occasion, we got the drivers, the vehicles and the know how. No matter if it is a one stop basic service or complicated itinerary with several stops and transfers, we can safely accommodate your needs. There are many options to pick for group transportation but not every company is the same. All our vehicles, including vans and buses are late model, low mileage vehicles. We have a rigorous inspection procedures and hiring practices to make sure you are always safe on the road. They are all licensed and insured and all of our staff are trained professionals to make sure you are in the best hands at all times. Give us a call next time you need group transportation services and you will never call any other company again. Taxi 7- Limo 7 is waiting to hear from you.